Law enforcement agencies in central Arkansas praised military-style equipment for saving lives in Orlando. 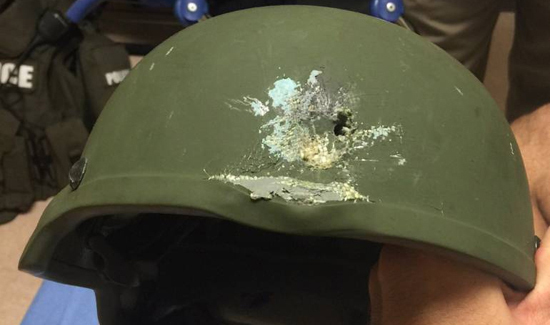 Police there used military weapons, vehicles, and even Kevlar helmets that saved the life of one police officer who was shot in the head. The emergency response team at the Lonoke County Sheriff’s Office has a similar arsenal. They’ve used an MRAP twice for high-risk drug search warrants and depend on vests and helmets at numerous crime scenes. A captain said militarization of local law enforcement, if used the right way, is necessary in this day and age. The equipment is also used during natural disasters and work details for the detention center.